WEST LAFAYETTE – Talk about taking advantage of what is given to you. After spending the first two months of the season seeing his playing time severely limited due to the emergence of freshman James White, third-string running back Montee Ball has never stopped working to help his team. It paid off in a big way Saturday at Purdue. 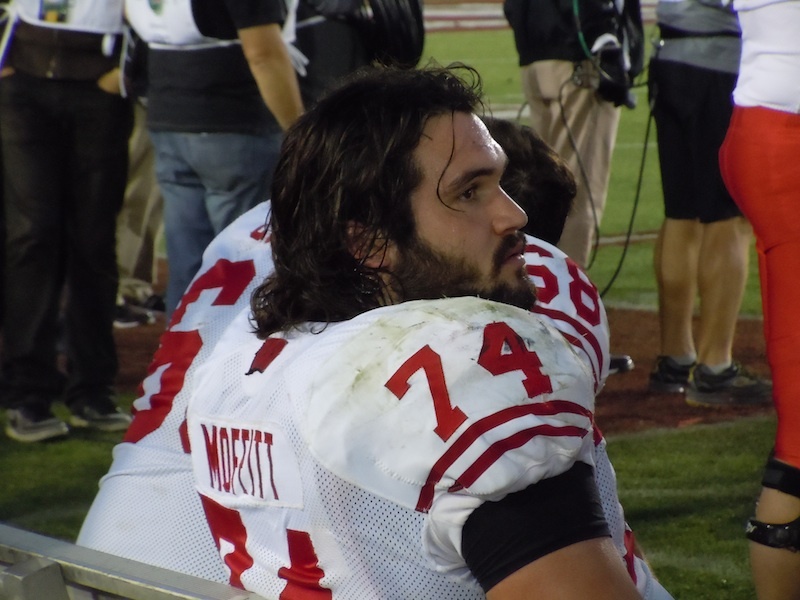 Ball reemerged as an important part of the Wisconsin offense when White went down with an injury at Iowa, scoring the game-winning touchdown late in the fourth quarter. His performance at Ross-Ade Stadium was even better. For the first time this season, Ball knew all week he would be the No. 2 option out of the backfield, a role he played well late in his freshman season. When Saturday’s game rolled around, Ball simply went out and rushed for 127 yards on 21 carries and two big second-half touchdowns. Early on, the Badgers went with a heavy dose of John Clay, with less than desirable results. When Clay got banged up during the course of the game, the load was all on Ball’s shoulders. To say he responded well would be quite the understatement. Ball finished the first half with just nine yards rushing on four carries, eight of which came on a single carry in the Badgers’ final drive of the second quarter. Over the final 25:32 of play, Ball ran for 118 yards on 17 carries, for an average of nearly seven yards per rush. Midway through the third quarter, Ball helped the Badgers reel off a two-play, 51-yard, 38-second scoring drive. After a 20-yard pass to Nick Toon, Ball took the ball down the left sideline 31 yards for the score, diving for the pylon and giving UW some breathing room at 20-10. Ball reeled off another run of 26 yards on the Badgers’ first drive of the fourth quarter before getting his second touchdown of the day when Wisconsin got the ball back for a second drive in the period. Following Mike Taylor‘s impressive interception, Ball took the handoff twice, losing a yard on first down and finding a huge hole for his second touchdown of the day, this time from 15 yards out. Ball found out just what it meant to be the Badgers’ every down back on the game’s final drive. Wisconsin ran 10 plays for 40 yards, eating up 5 minutes and 50 seconds off the clock. Each of the 10 plays was a handoff to Ball. MADISON – As stadiums go, Ross-Ade Stadium is never going to be mistaken for one of the great, historic venues in college football. Even so, Purdue has won 254 games there all-time against just 149 losses, including the Boilermakers’ 3-1 home record this year. In fact, just last year Purdue knocked off then-No. 7 Ohio State at home, 26-18, in a stunning upset. That win came on the heels of a five-game losing streak for the Boilermakers, who have lost each of their last two games, on the road, in blowout fashion. Add the Badgers’ recent success, and Wisconsin looks to be headed into a classic trap game. 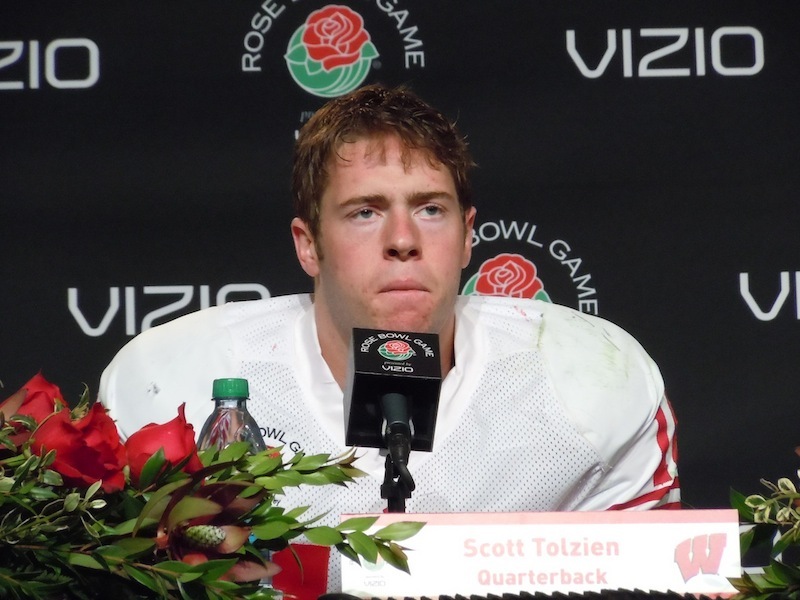 “We’re well aware of it,” quarterback Scott Tolzien said. “I think the main thing is that it’s just another Big Ten game. You just look at last year, they knocked off Ohio State. Unfortunately for the Badgers, they don’t have any past experience to lean on against Purdue. While they shutout the Boilermakers last year, 37-0, the last time Wisconsin traveled to Purdue was in 2006, when Bret Bielema was a first-year head coach and UW’s current fifth-year seniors were in their redshirt seasons. 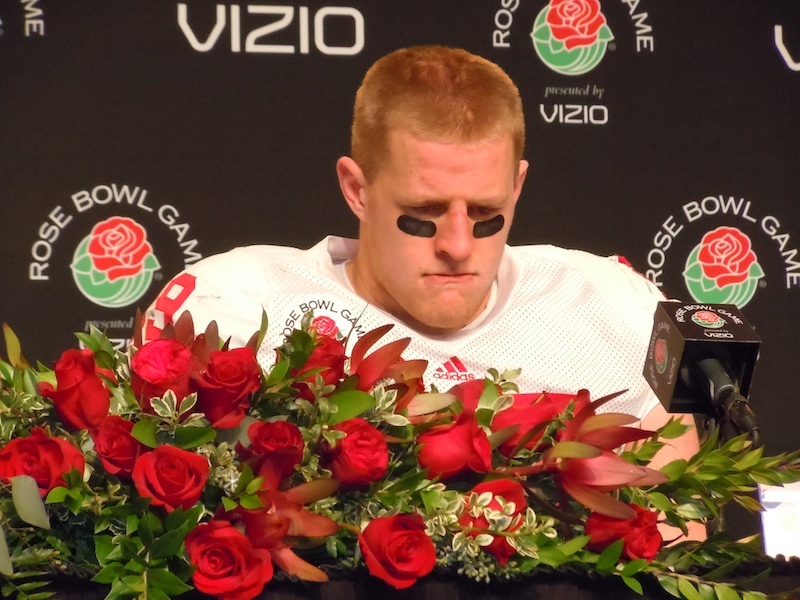 Junior defensive end J.J. Watt will be making his second appearance at Ross-Ade, having played there once in his career at Central Michigan. As such, they’ll need to rely on their experiences in other Big Ten stadiums, rather than recall past games as Ross-Ade. Not only has the team not played in West Lafayette in four years, they’ve also not made a bus trip as long as the one scheduled for this weekend. A 271-mile drive, the drive from Camp Randall to Ross-Ade is said to take five hours and six minutes, according to Google Maps. On a bus, that easily translates to at least a six-hour drive. And that’s assuming the buses make it through the Chicago area without significant delay. “That’s something that I don’t like at all,” free safety Aaron Henry said. “I understand we’ve got to do it, but six hours man, I can’t sit in a classroom for 50 minutes, let alone on a bus for six hours. 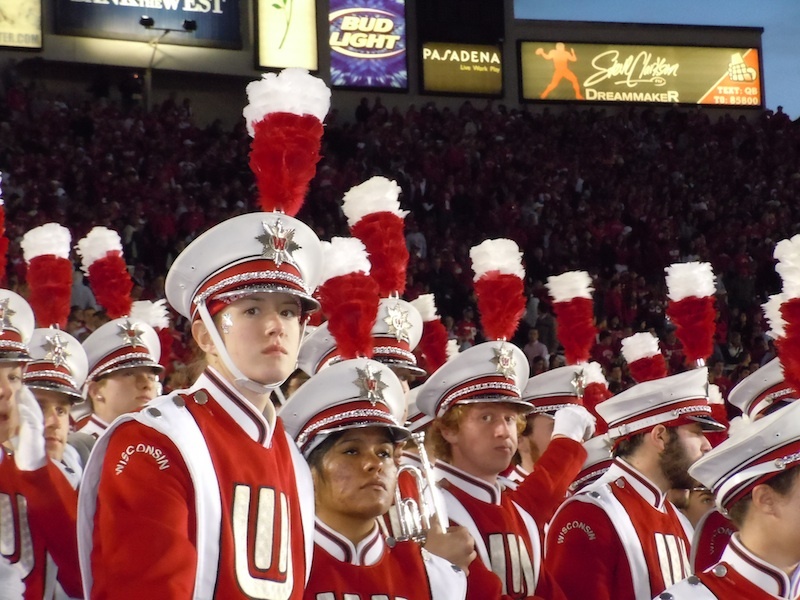 Confined to seat on the bus for the length of nearly two football games, the Badgers will need to find some ways to occupy their time. Homework, music, movies and sleep are among the most popular time-wasters for bus trips. Of course, they’re typically more like three to four hours, such as is the case with the trip to Iowa City. “I’m going to probably be doing a ton of things,” Henry said. “Probably on the phone listening to music, going over some of my notes, writing up some of my interests on the blog that I have. There’s no telling what I could be doing, man. Running back John Clay had a simple answer to what could make the bus trip better for him.